The number of people that own their homes has dramatically dropped. With UOWN you can get onto the property ladder and make sure you don’t get left behind. It’s no secret that our generation — the millennials — have got a rough deal. 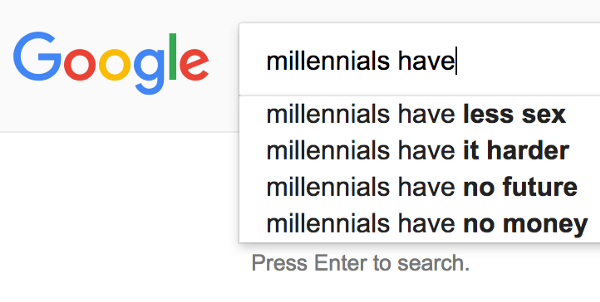 A quick Google search confirms that we are a generation plagued by many issues: whether they are self-inflicted like Justin Bieber, or inflicted by the generation before us like the credit crunch and Katie Hopkins. Adding insult to injury, recent analysis in the Guardian has shown that homeownership amongst 25 year-olds has halved in the last 20 years. Two decades ago 46% of 25 year olds were homeowners, and now only 20% are homeowners. We all know why — in the last 20 years house prices have quadrupled and wages, unfortunately, have not kept up. In the UK we need to build 250,000 homes a year to keep up with demand and we miss this target every year. 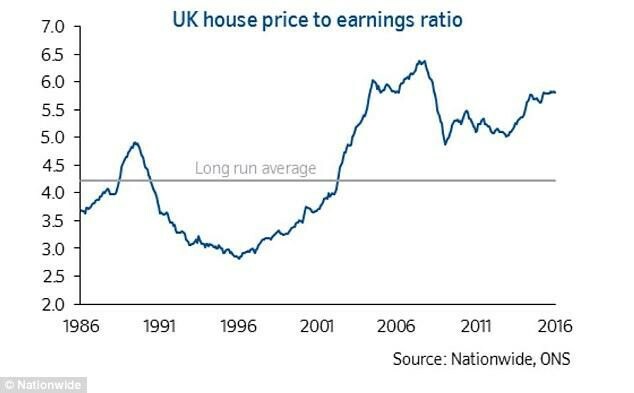 This chart of the house price to earnings ratio shows how the situation rapidly got out of hand. It is truly hard to imagine, but 20 years ago nearly every other 25 year old had got their act together and bought a house. They had made the best investment decision of their lives — now at 45 they are sitting on a tidy little nest-egg with a secure future ahead of them, looking disapprovingly at the young whipper snappers complaining about tough times. Incredibly today 20% of 25 year olds have achieved the dream of homeownership. They have overcome the financial hurdles, most likely with some help from The Bank of Mum and Dad, and made a great decision to invest in bricks and mortar and now they can relax grow old and discuss the homes section in the Times with their home owning mates. At UOWN our ambition is for 100% of young people to get onto the property ladder. For as little £20 you can sign-up and buy a share of a house with UOWN. Your share will earn you rental income every month, but more importantly it will mean that you don’t get left behind by the other homeowners. Not only does UOWN allow you to get a finger on the property ladder, it also helps you get your foot on the ladder faster. If you put your money into a savings account you are likely to get an interest rate of around 1%, currently on UOWN the properties pay out rental income of 6% PLUS the change in the value of the house. If you want to buy a house in the future than saving with UOWN ensures that if house prices shoot up (as they usually to) then the value of your savings will shoot up to. Is It Better To Invest In Property Or Stocks And Shares? Property and stocks and shares have been popular investment vehicles for a long time. But which one is right for you? We've rounded up the pros and cons of each to help you decide. What options are available to you if you don't have piles of cash to save? There are a plethora of options to suit all investors, find out what suits your situation in this in depth look. We take a look at why you should consider investing in student property. There are a number of things to consider and we help you navigate the pros and cons.